The Pentagon will throw an additional $ 830 million to increase the grouping of its missile defense this year. Lockheed Martin, the main supplier of missile defense equipment, is committed to supply $ 2.3 billion advanced THAAD batteries. Just two months ago, the contract was valued at $ 1.5 billion. MK found out what actually stands behind the next increase in military orders in the United States. According to Lockheed Martin, the contract has “stoured” $ 830 million for several reasons. First of all, additional tests in the flight and ground tests program are coming. Anti-missile will try to increase the range and power. In addition, the “electronic brains” of the complex and resistance to electronic effects will improve. The first updated systems may appear in the Stars and Stripes by the end of 2019. What is the reason for the increase in the cost of new-generation anti-missiles? “The fact is that before the United States relied on strike weapons: an aircraft carrier would come, for example, and everyone should lie down,” military expert Oleg Zheltonozhko commented on MK. – And who does not lie – that will be destroyed. Now, apparently, the Americans noticed that it was impossible to do without defensive weapons. Today, their tactical missile defense systems are rather weak. With nothing serious they can not cope. For example, with Russian or Chinese missiles. The maximum they can do is to cover the allies, for example, Israel from Hezbollah’s semi-handicraft rockets or Palestinian separatists. At the same time, the expert does not see a direct link between the increase in the budget for the new missile defense system and the recent Message of President Vladimir Putin to the Federal Assembly. “Most likely, the increase is planned long ago,” explains Oleg Zheltonozhko. – Such things are prepared ahead of time, and sometimes they are “pushed” in Congress for several months. The THAAD system is a mobile ground-based anti-missile system. Its purpose is to intercept medium-range ballistic missiles within and outside the atmosphere at the final stage of flight. The development of the complex was begun in 1992, and by October 2018, the release of 300 interceptors was announced. The American Patriot anti-missile system, according to independent experts, is worse than THAAD. This is especially noticeable in the work against the ballistic missiles of the past generation. Despite not yet fully proven effectiveness, THAAD has already been successfully purchased by US allies. 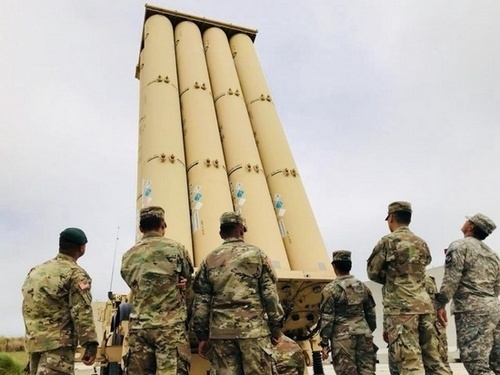 So, in 2018, Saudi Arabia announced the purchase of seven THAAD batteries for $ 13.5 billion. The delivery will be organized on the Arabian Peninsula in the years 2023-2026. However, the first complexes THAAD will be deployed in Israel. According to the IDF, they will help to cover a restless region from the rockets of annoying neighbors.